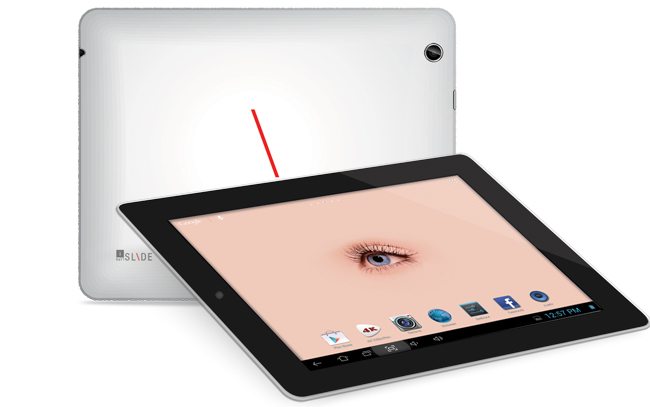 iBall launched the performance series tablet Slide Q9703 in india. It packs Cortex A7 quad-core 1.2 GHz processor with PowerVR SGX543MP2 8-core GPU. It is available at a price of INR 15,999. The Slide Q9703 packs 9.7-inch QXGA HD IPS display with a resolution of 2048×1536 (264 PPI) and support 4k 4096×2160 resolution video palyback support. Slide Q9703 packs 2GB of RAM, 16GB internal storage and expandable upto 32GB via microSD card slot. Connectivity includes Wi-Fi 802.11 b\g\n, HDMI out, Micro USB OTG Port, Bluetooth, Alide Q9703 supports 3G via USB Dongle. Slide Q9703 has 5.0 MP rear auto-focus camera along with 2.0 MP front facing camera. It runs android 4.1 jelly bean and powered by 8000mAh Lithium-ion battery.